What exactly is an orthodontic emergency? True orthodontic emergencies are rare. And you might be surprised to learn that it is easy to temporarily solve many problems yourself, at home, until you can schedule an appointment with our office. The general rule is…if there is bleeding or severe pain, please call us as soon as possible. Loose brackets and poking wires, although annoying, are not an emergency. Please call us during regular business hours to schedule an appointment to take care of these situations. Here are a few NON-EMERGENCY situations and how you might handle them at home. When you get your braces on, you will feel general soreness in your mouth and the teeth may be tender to biting pressures for three to five days. This is normal. Taking anti-inflammatory medications such as Acetaminophen (Tylenol) or Ibuprofen (Advil, Motrin) can help to reduce the amount of discomfort that you feel. Warm salt water rinses also help (see below for instructions). The use of orthodontic wax, which we provided for you in your new patient bag, can be placed on any brackets that may be causing irritation to your lips and cheeks. 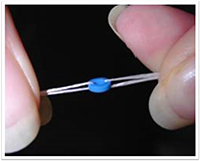 If a bracket becomes loose but is still attached to the wire, simply leave it in place. This is not an emergency. Place wax over the area if it is causing irritation. 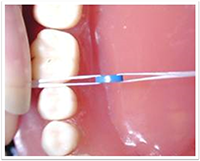 If the bracket or band comes off the wire, please save it and bring it with you to your appointment. If the missing bracket leaves a wire that pokes your lips or cheek, please see the instructions below. Please call us during business hours to determine if we need to schedule an appointment right away to replace the bracket/band or if it can wait until your next appointment. Sometimes, especially early in treatment, when you have less rigid wires in place, due to the forces of brushing or eating, the wires may shift. When this happens, the wire will begin to poke your cheek in the back of your mouth. To take care of this situation, until you can be seen during regular office hours, try to place wax over the area to keep the wire from poking. If this does not work, use a pair of fingernail clippers or small wire cutters to cut the wire as close as you can to the bracket. 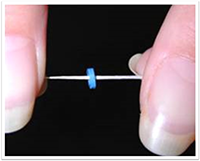 Occasionally during treatment, lacing wires or thin steel wire ties may be placed on your teeth to help align your teeth or to keep spaces closed. Generally these are very fine wires and sometimes the “pig-tail” of the wire may begin to protrude. If this happens, use the eraser end of a pencil to press the protruding wire out of the way of your lips or cheek. 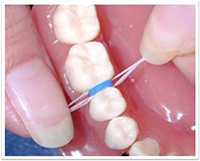 It is crucial to wear your elastics as instructed by Dr. Hashem & his team, in order to help ensure that your treatment stays on schedule and that you obtain optimal results with your treatment. This being said, losing a rubber band hook is not considered a true orthodontic emergency. Please try to attach the rubber band to the most forward part of the bracket closest to the gum-line until you can be scheduled in our office to replace the hook. Please call us as soon as possible, during business hours, to have the hook replaced so that your treatment is not delayed. If the expander becomes loose, call us immediately. Please do not turn or activate it until you are seen in our office. The expander can be pushed back onto the tooth until you can make it into our office. If the space maintainer becomes loose, call us immediately. The space maintainer can be pushed back onto the tooth until you reach our office. If a bonded retainer becomes loose, call us immediately to avoid any shifting of the teeth. Allowing your appliances to remain damaged for an extended period of time may result in disruptions in your treatment plan. So please be sure to call us, during the next business day, to see if we need to schedule you an additional appointment to take care of the situation. If you wait to tell us about any broken appliance until you come in for your scheduled appointment, there may not be enough time in the schedule to fix the problem and an additional appointment may need to be scheduled, so please let us know ahead of time. Of course, in the event of a TRUE EMERGENCY, we have a number that you can call to reach one of our team members to give you guidance. Please call either office & listen to our recorded message, for the emergency phone number. Canker sores are small, shallow ulcers that appear in the mouth and often make eating and talking uncomfortable. 1. A painful sore or sores inside your mouth -- on the tongue, on the soft palate (the back portion of the roof of your mouth), or inside your cheeks. 2. A tingling or burning sensation before the sores appear. 3. 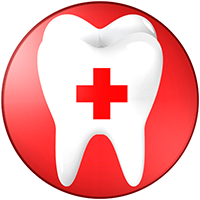 Sores in your mouth that are round, white or gray, with a red edge or border. Pain from a canker sore generally lessens in a few days, and the sores usually heal without treatment in about a week or two. 4. 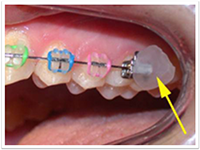 Placing orthodontic wax around braces, if you have the tendency to get canker sores. Directions: Stir the salt into the warm water and swish it around in your mouth for 30 seconds, 3 times daily until the canker sore is gone. Mix milk of magnesia (Kaopectate®, Maalox® or a generic equivalent) with an equal amount of Benadryl® Allergy liquid (diphenhydramine 12.5mg/5ml) (one teaspoonful or so of each). Swish with this mixture (and then spit it out) as often as four to six times a day. The mix will create a coating which helps protect your ulcers from irritation, from hot, cold or spicy foods and beverages (the milk of magnesia does this) and reduce the amount of pain the sores may cause (the Benadryl portion of the mixture acts as a numbing agent).